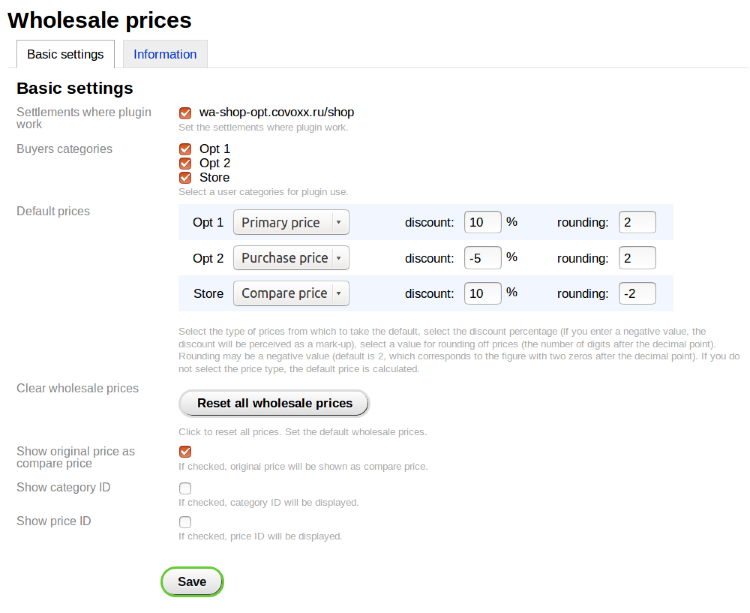 The plugin extends the ability to edit the product, allowing you to set the prices for each category of users. 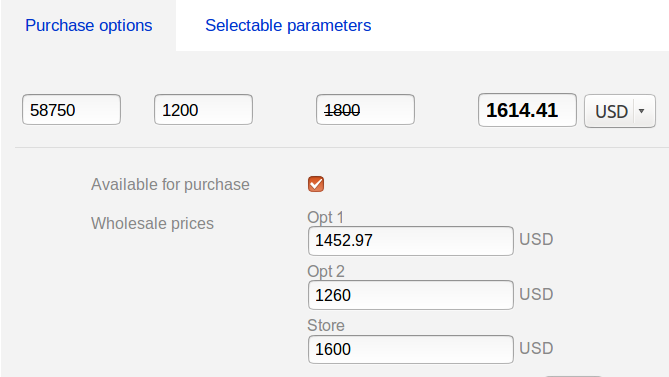 In the plugin settings, we can choose the category of users for which special prices will be formed. The plugin can set specific prices for each category of users, and can also generate the default rates on the basis of existing prices, discounts and mark-ups, as well as the value of the rounding. The settings of each article now has a field where you can specify a price for each individual user categories. You can use the generated plug-in default rates if the specific price is not specified. Each logged user now sees the price of the goods. If you bought a product at its price, it will be the same is reflected in the product and in order. If the user is not logged in, he sees the normal price of the goods as it was before installing the plugin. The plugin has the ability to import goods from a given wholesale price through a standard plugin csv import. Import through cml1c plugin is not supported.